You can help to CREATE a better life for kids in care. 23 year old Brittany from Victoria left care when she was 18 years old and has gone from strength to strength. “It was not easy being in care. I entered care at the age of one, but my time in care became very unstable around the age of 11”, Brittany says. “I didn’t start out as a challenging kid but when you get moved around a lot, have multiple placements and you start to get the feeling no one really wants you, that can have a massive effect on you and your behaviour,” she says. Brittany says she felt the system had begun to give up on her and judge her because of her care experience. “I wanted to explore becoming a Youth Worker. I had always been interested in this as a career,” she said. “But I remember a chaplain at school telling me that I should just forget about that. He said it would be too hard for me and not to bother”. Brittany left school in Grade Nine and went to TAFE. She completed a Cert II in Community Services, followed by a Cert III in Child Care and a CERT IV in Youth Work. By now Brittany was well and truly on a roll going on to complete a Diploma in Youth Work. “I don’t like being told I can’t do something,” Brittany says. “People say these things to children and young people in care all the time. It’s like a challenge, they say you can’t do it, I think to myself, what have I got to lose, just go for it”. “You have to make a change from listening to the negative things people say about you to thinking, why not, maybe I can do it despite what people say”. After finishing TAFE Brittany completed a Bachelor of Community Mental Health, Alcohol and Other Drugs, graduating from the Chisholm Institute. “When I started this Bachelor, I thought to myself, what will I do when I fail – I just automatically started planning to fail, but I didn’t, so I kept going” she says. Brittany definitely put in the hard yards to achieve her Bachelor Degree. She spent most of her time reading, seeking advice from others, learning how to write, developing study techniques, and becoming the best person she could be. ”It was not easy, it never really is. It was tough at the time, trying to buy books, having unstable accommodation and living environments with no support, but it built my confidence to keep going and to be successful at what I want to do,” she said. 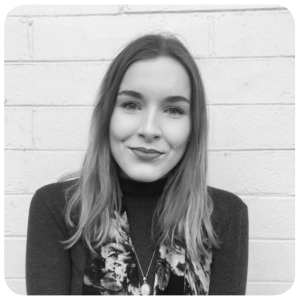 Last year Brittany spent three months as the Young Thinker in Residence with the Youth Affairs Council of Victoria, where she wrote the report Young Care Leavers: The Need for Peer Support. She has been a strong advocate for young care leavers ever since. Later this year Brittany will commence her Masters in Social Work. “My goal is to help make the leaving care process easier for young care leavers and to help to remove some of the barriers that may make it harder for young people in out of home care to achieve the life they want,” she says. “Young people in out of home care have incredible strength and resilience, and that is worth a lot,” Brittany says. Brittany says she wants to inspire other young people to follow their passion. “I want young people in care to know they are cared for and that you can be something, despite what other people might say sometimes”. “If I could inspire other young people that would be awesome”. Brittany says that successful young people with a care experience should not be the exception. “I don’t want to be the exception. I want all young people to feel they can reach their potential”. At CREATE, we believe in providing young people leaving care with tools to help them on their journey to independence. Check out CREATE’s range of awesome resources for young people preparing to transition to independence.